Discord continues its bid to slowly become more like Steam. 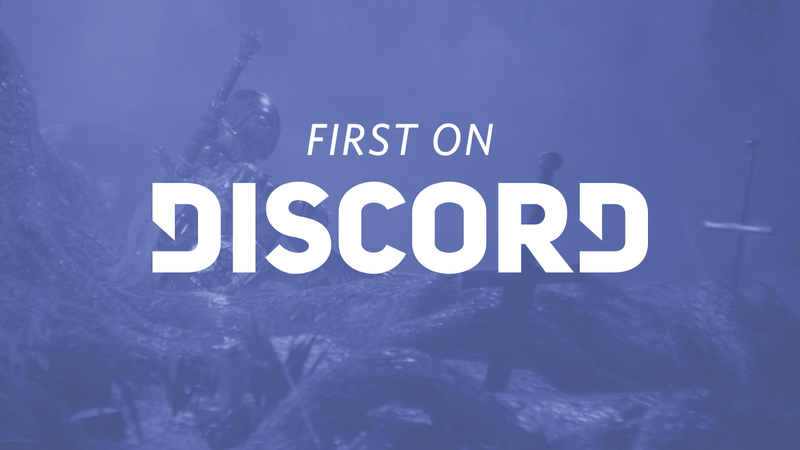 In August they announced the opening of a proper Discord Store and now, they’ve unveiled the first batch of ‘First on Discord’ games. These are titles that will be temporarily exclusive to the Discord Store, usually for 90 days, before appearing elsewhere (Steam, for example). They’re mostly indie games, though there are some promising ones, such as Sinner: Sacrifice for Redemption. Below you can find the full list. Halloween night. 1996. A group of teenagers awake to find themselves trapped in a dark, twisted reflection of their sleepy hometown of Forest Hills. As they make their way across the East Side High School campus, they realize they are being hunted by a supernatural force taking the form of fearsome killers. Relentlessly pursued, the teens must band together to fight back, survive, and escape the terrifying anomaly they have come to know as The Nightmare. King of the hat is a fast-paced, hat based, multiplayer game featuring washing machines. In this cutesy dystopian world, everyone is born with a hat that hosts their soul and can only die if their hat gets crushed. Jump around, whip your hat at your friends, crush theirs, and become the King of the Hat! To atone for his wicked crimes, Adam, a soldier with a dark past, must set out on a quest for redemption and face off against monstrous enemies based on the seven deadly sins. Sacrifice a part of Adam before each duel and receive a permanent debuff, resulting in a “level down” progression — reduced health, strength, or equipment for the entirety of the journey. At Sundown is a hide-and-seek shooter where the maps are covered in darkness and light is your enemy. Four players compete in a deathmatch to be the best! Strategic gameplay is vital in the shadows of this dark world in which you only become visible when you shoot, dash, or slash. See or be seen, kill or be killed. How long will you survive At Sundown? Bad North is a beautifully-crafted, minimalistic, real-time tactics roguelite game where you lead a rag-tag group of island folk as they flee the relentless Viking hordes. Progress through a series of procedurally-generated islands, fending off Nordic raiders and gather what resources you can, before moving on to the next fight. Protect the nobles and commoners you meet along the way and recruit them to your cause — you’ll need their numbers in the conflict to come. Mad Machines is a brutal ball sports game. Pilot magnetic robot gladiators in a fight for survival, honor and mastery over a lethal spike-ball. Partner with teammates to score goals. Unleash aggressive tendencies with intense melee fighting. This online multiplayer game is currently available in Early Access. Come for the fighting, stay for the community and offer feedback because we’re just wild enough to use it! Minion Masters is simply the BEST real-time card game with co-op made for PC! Even if you really, really hate card games (you weirdo), you will still love this game as it’s so deceptively simple to learn yet deep as a sunken ship. “Is this the greatest game of all time?” (Penny Arcade), we certainly like to think so! You should totally give it a shot, it’s free!